Rebecca Minkoff came to the fashion forefront with the release of the now iconic 'Morning After Bag' in 2005, which represented a temporary turning point in the designer's repertoire from apparel to accessories. Clothing has become a part of the brand's varied collection, but it is accessories for which Rebecca Minkoff is best known. The watch collection is no exception, with designs that balance trends with practicality, making them perfect as both a fashionable accessory and as a useful timepiece. Check out some of our favourite designs and learn all about how you can incorporate Rebecca Minkoff into your wardrobe. Luxurious and chic with an edgy, youthful spin, Rebecca Minkoff accessories are designed to be practical as well as fashionable - perfect for today's modern woman. The watch collection is a relatively new addition to the label's output, having been released in early 2017, and it has been massively popular already. Based in New York, but originating from California, Rebecca Minkoff shows a clear understanding of how women use fashion in their day-to-day lives, which is undoubtedly what made the 'Morning After Bag' so popular in the first place. The laid-back, sunny style of California is blended with an edgy New York energy, to create pieces that are equal parts fun, cool, and genuinely wearable. Firmly establishing herself as a major fashion influencer, Rebecca Minkoff is noted to have sparked the trend for studded handbag embellishments that remain popular today. 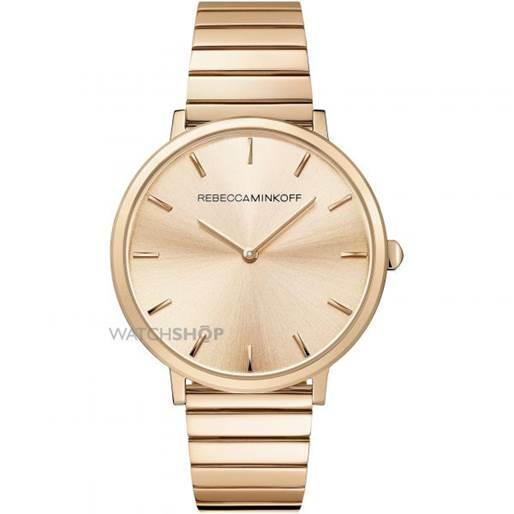 This ladies' watch (RRP Â£119.00) pays reference to that trend, creating a simple design that's perfect for day-to-night wear. 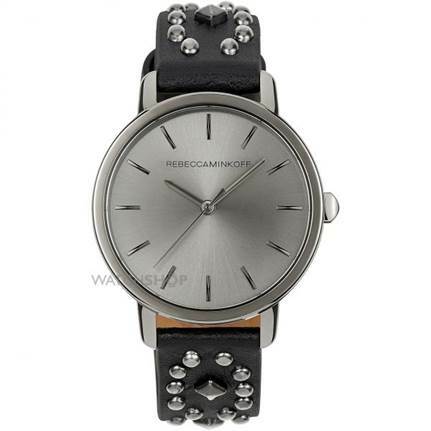 The black leather strap is embellished with silver studs that match the sleek, stainless-steel case. The brushed design of the face adds dimension to an otherwise very simple design, creating a watch that stands out without being outlandish. Sophisticated and cool, it represents the downtown New York style the designer stated as her inspiration for the collection. 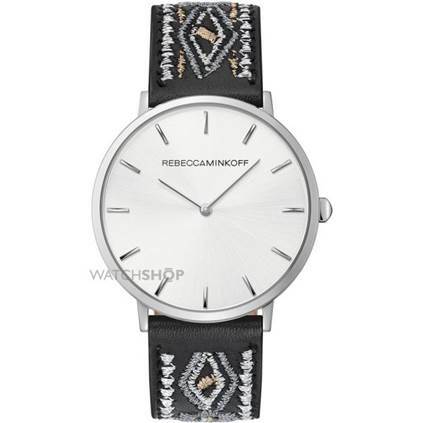 This ladies' watch (RRP Â£139.00) is equal parts trendy and timeless. Adapting a classic '80s design and modernising it for today's fashionistas, this ladies' watch is the type of timepiece that every woman needs as part of her collection. This is a bold timepiece that will add a flash of style to any outfit. The bracelet, face, and case are all plated in PVD rose gold, which makes the watch stand out. It's a piece that brings everything good about '80s power dressing to a 21st century woman. Boho chic never died, it just went into hibernation for a while. But forget flowing maxi skirts and perfect beach waves and add a touch of what made boho so great to your accessories with this ladies' watch (RRP Â£99.00). A minimalist stainless steel case and flat white face keeps the watch looking smart and easy-to-read, but the real highlight of the watch is the strap. Black leather is embroidered with subtly coloured thread, adding an essential Californian boho vibe that says, "sure, I might live in the city, but my heart is on the beach." Sometimes you just need to dress to impress, and this is exactly what this ladies' watch (RRP Â£139.00) is for. Slimline and comfortable, this smart watch is perfect for dressy occasions as well as important professional events for an extra boost of confidence. 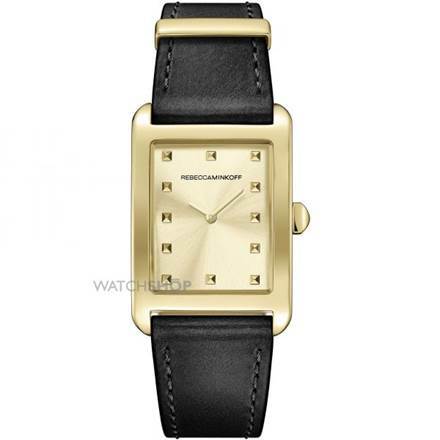 Black and gold is a classic colour combination, and the shades help to make this small watch look truly noteworthy. The squared case displays a minimalist face, featuring tiny stud time markers that pay reference to the designer's love of unique details. Rebecca Minkoff watches are the perfect choice for a fashionista who loves design and practicality, without wanting to pay over the odds. 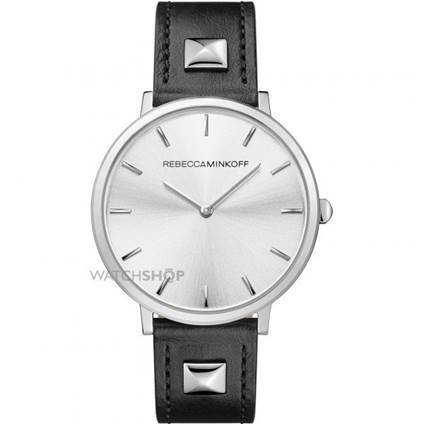 Explore the full collection to find a Rebecca Minkoff women's watch to suit your style.